Thomas John Tims was born in Bletchingley, Surrey on 20th June 1912 to Walter Sidney and Charlotte Tims, one of 6 children. His father was a sergeant in the Middlesex and Bedfordshire Regiments during WW1. By the start of WW1, the family had moved to Windsor. Thomas married Blanche Mabel Holmes at Uxbridge in 1939, and moved to 31 North Street, Thame, from where they ran a local fish and chip shop, and also had a son. 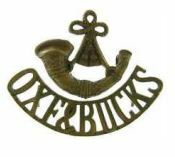 Enlisting with the Oxford and Bucks Light Infantry, he was a Corporal with the 1st battalion, when he was killed in Normandy on the 8th August 1944. He was in a carrier outpost on bridges at Le Locheur, near Caen, when a bomb from a Typhoon fell in an area occupied by the carrier platoon. 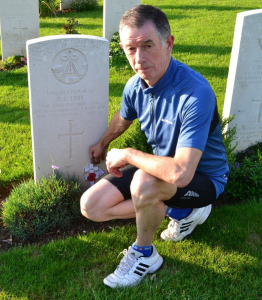 Corporal Tims and three of his comrades, were buried locally at Colleville, until their bodies were re-interred in Brouay War Cemetery in September 1945. His wife continued to run the fish and chip shop business until her death in 1950. His name is not currently remembered on any of the memorials in Thame.